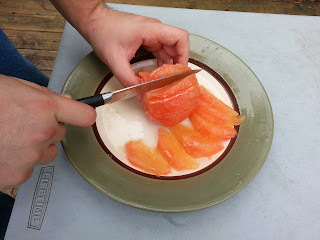 Grapefruit is lauded as a kind of miracle fruit when it comes to cholesterol, blood pressure, and weight loss. 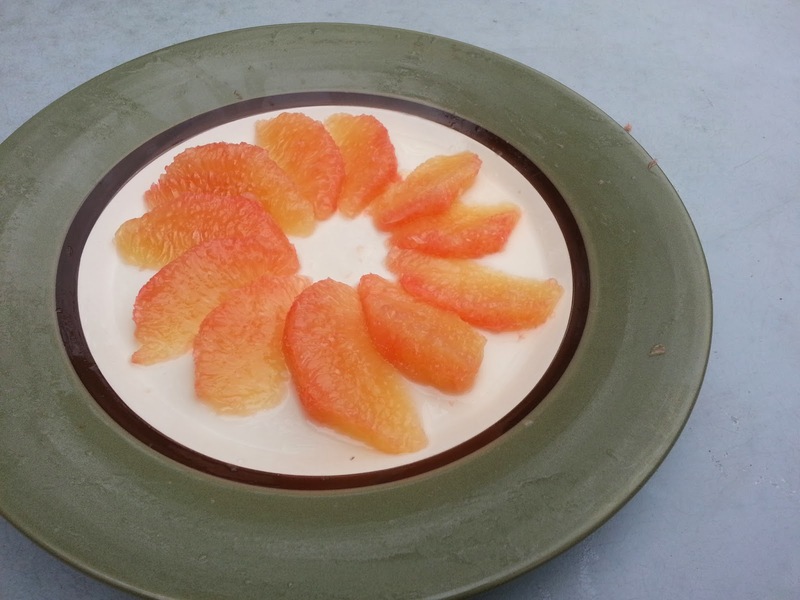 As a result, it is finding its way into our daily meals more and more often. You may be surprised to learn that how you prepare your grapefruit can really affect how much you enjoy your new diet. 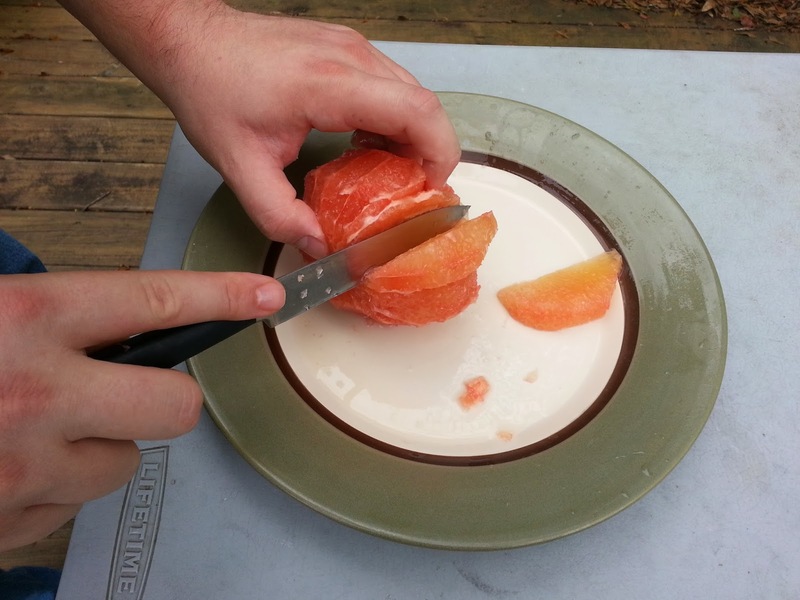 The purpose of sectioning is to completely remove the mesocarp (or pith) of the fruit. 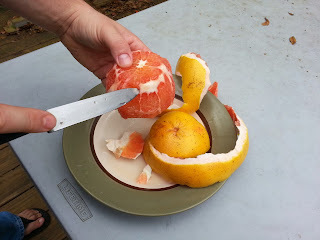 We won’t get into a grapefruit anatomy lesson today -- it’s enough to know that the mesocarp is the white part between the flesh of the fruit and the peel. 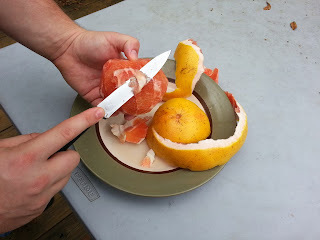 The mesocarp is bitter, so if you learn to section your grapefruit, you’ll end up with a sweeter snack. 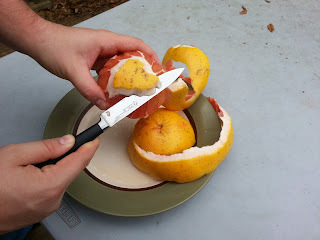 Follow the steps below and we’ll show you how to cut out all of the mesocarp and get the best flavor out of your grapefruit. If you’re used to peeling your grapefruit, we guarantee that it will taste much better this way! Our grapefruit are extremely juicy, so you’ll want to use a plate to catch the excess juice and keep your counter tops clean. 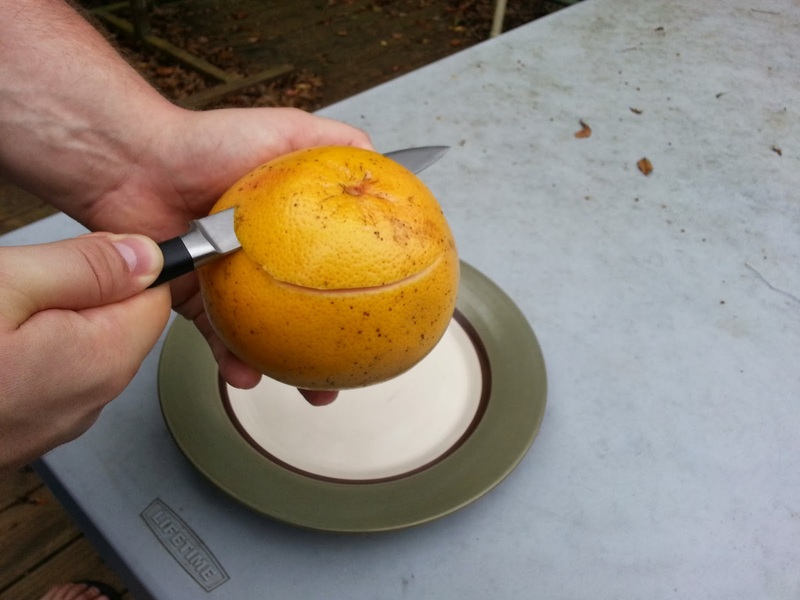 Your knife should be very sharp. The sharper your knife is, the less tearing or crushing the fruit will experience as you section it. 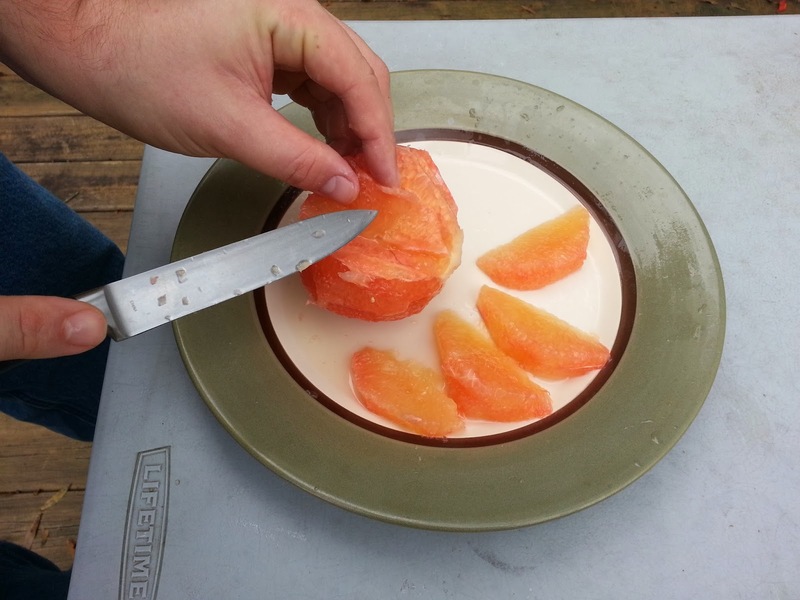 This keeps juice from escaping the pulp during cutting, so it stays in in the sections you eat. Step One: Your First Cut. 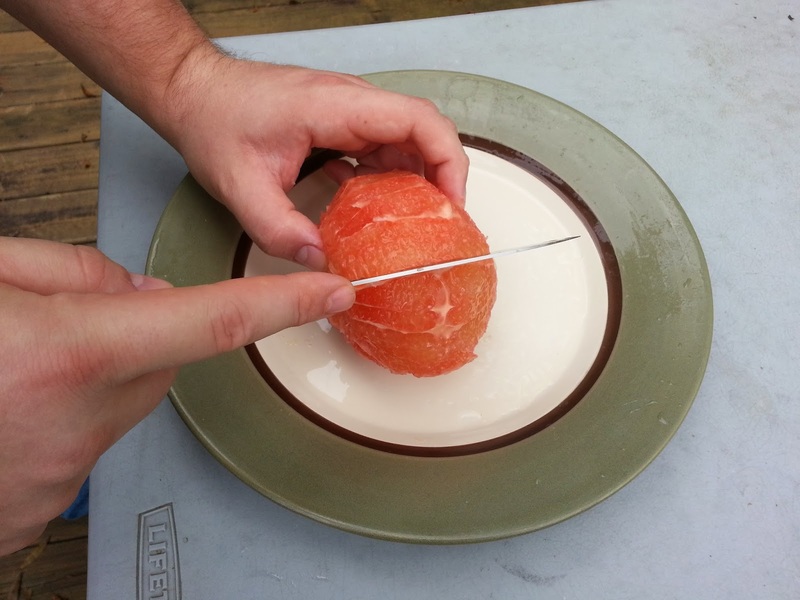 I prefer to start my cut roughly 2 ½ inches from the stem (if you were to draw a line down the peel). 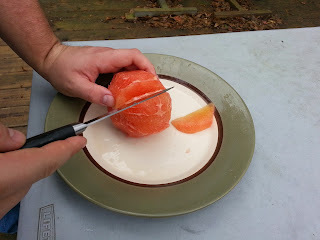 This is about even with the top of the pulp on the inside of the grapefruit. Depending on the size of your grapefruit, you may have to adjust. 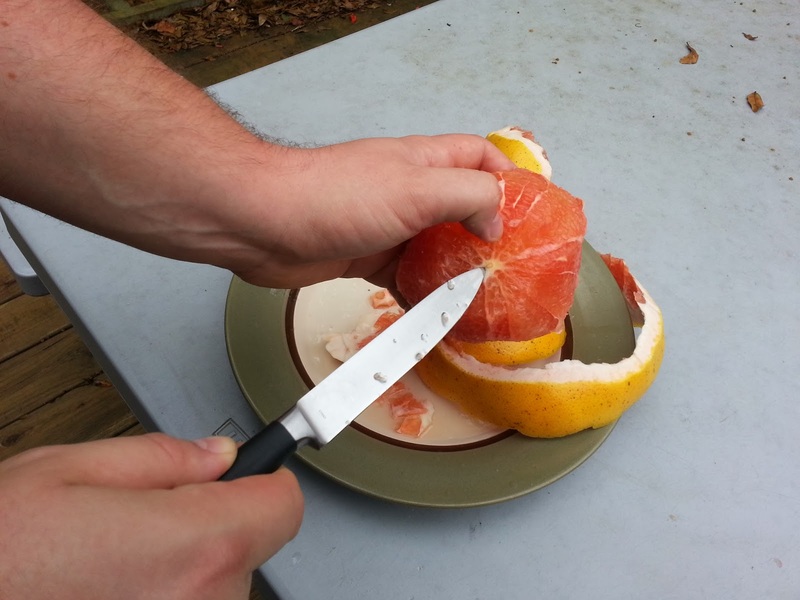 Don’t worry though, you won’t ruin your grapefruit if you misjudge. 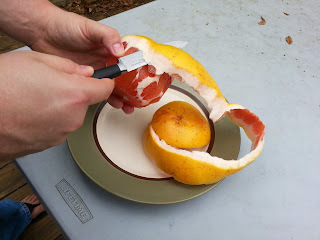 Cut across the fruit, parallel to the ground. 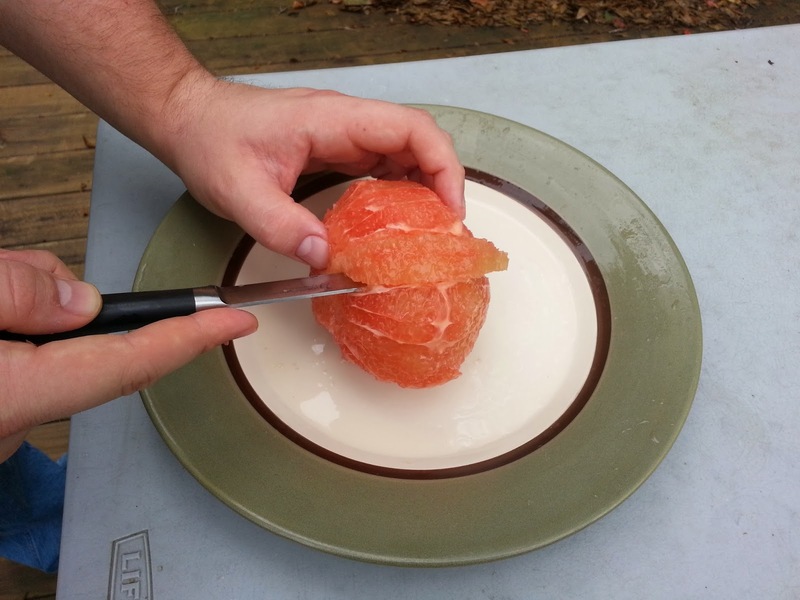 Pretend you’re giving your grapefruit a flat-top haircut. Stop cutting about an inch from the edge but leave your knife where it is. 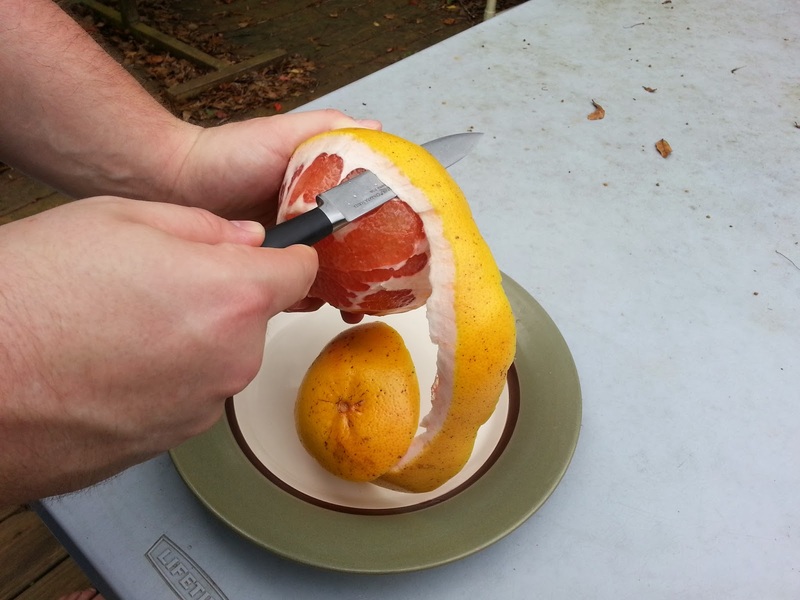 We’re about to change direction and continue cutting. Step Two: Remove The Peel. 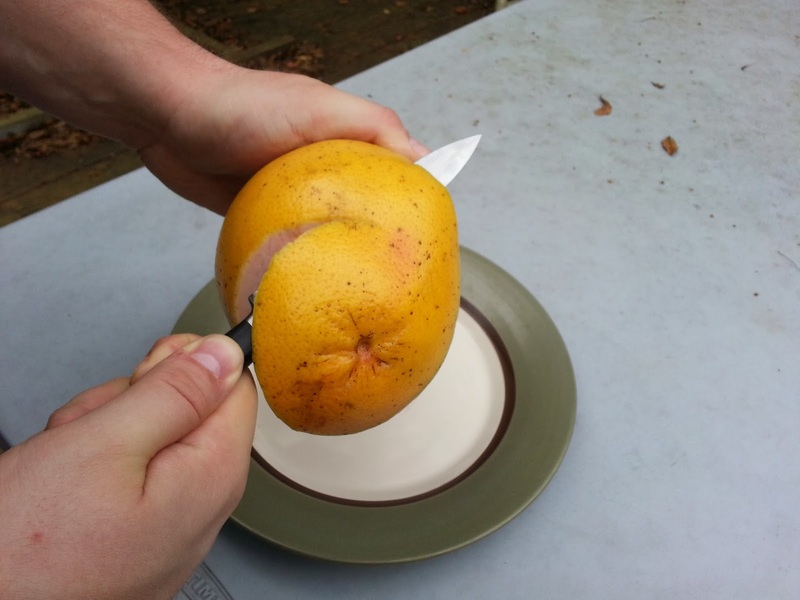 Gently lift the flap you’ve made. 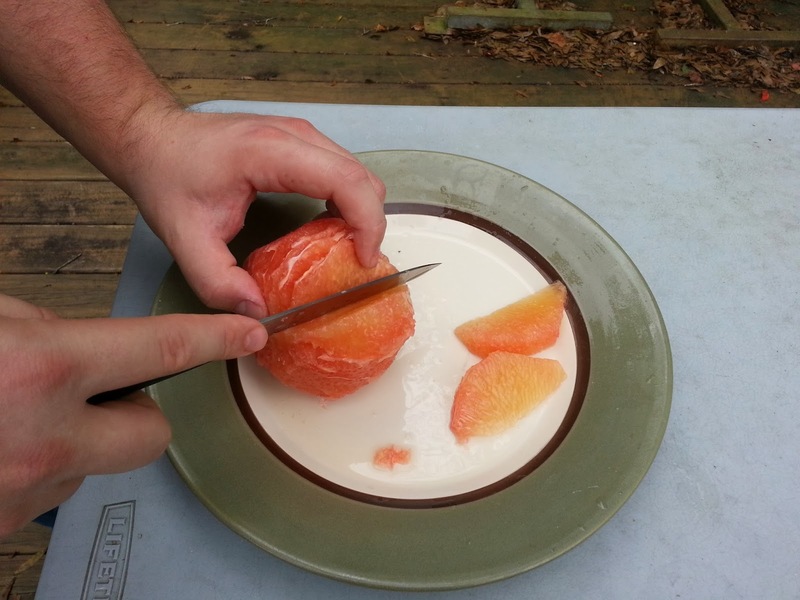 You’ll see the pulp and the white mesocarp beneath. 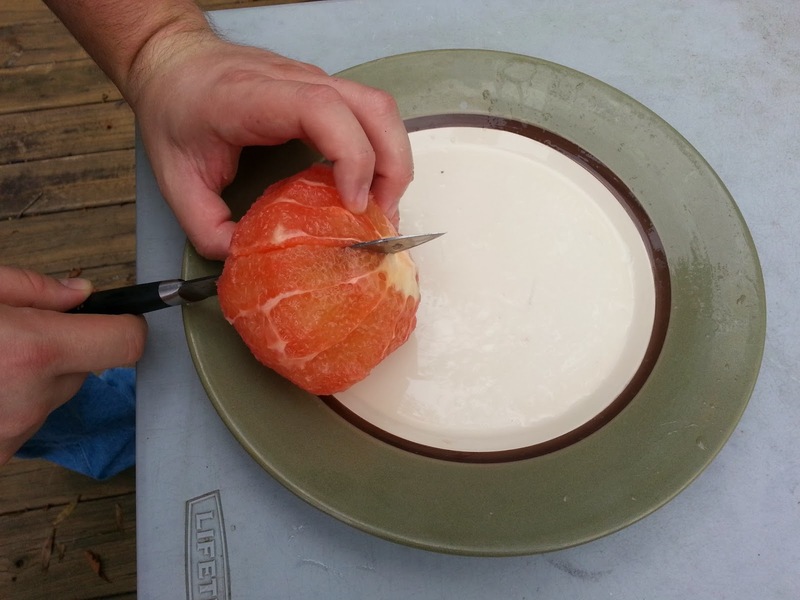 You want the pulp intact but not the peel or mesocarp. Using the white border of the pulp as a guide, turn your knife into the fruit, gently sawing the two apart. Angle your knife slightly towards the bottom of the fruit. 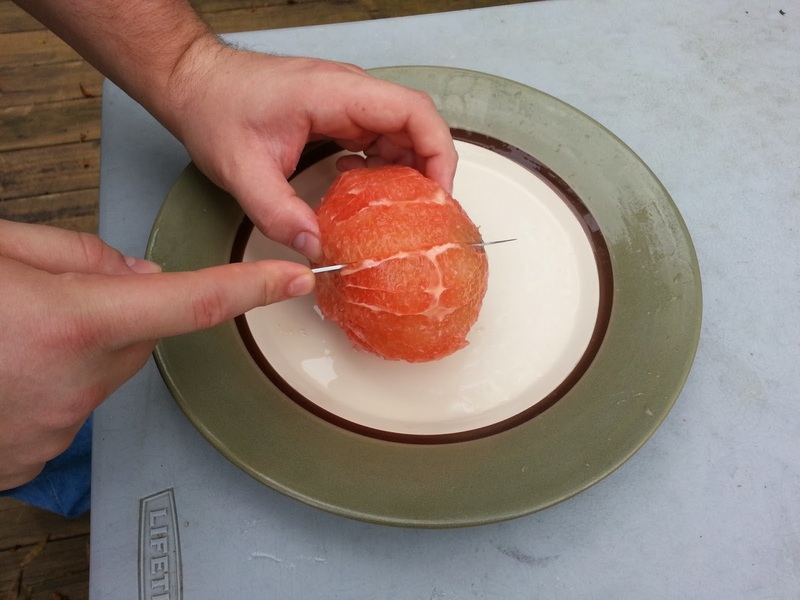 This keeps separated parts intact as a single, spiral piece. It also keeps you from having to make multiple cuts. 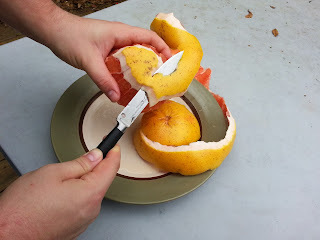 When you get to the final piece on the bottom (or blossom-end), mimic your first cut by cutting cleanly across, removing the last of the peel. Step Three: Remove any remaining mesocarp. 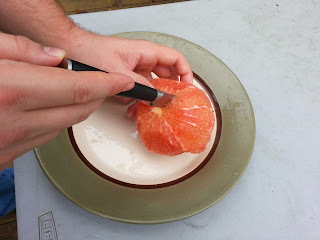 There will be some white left on your grapefruit. 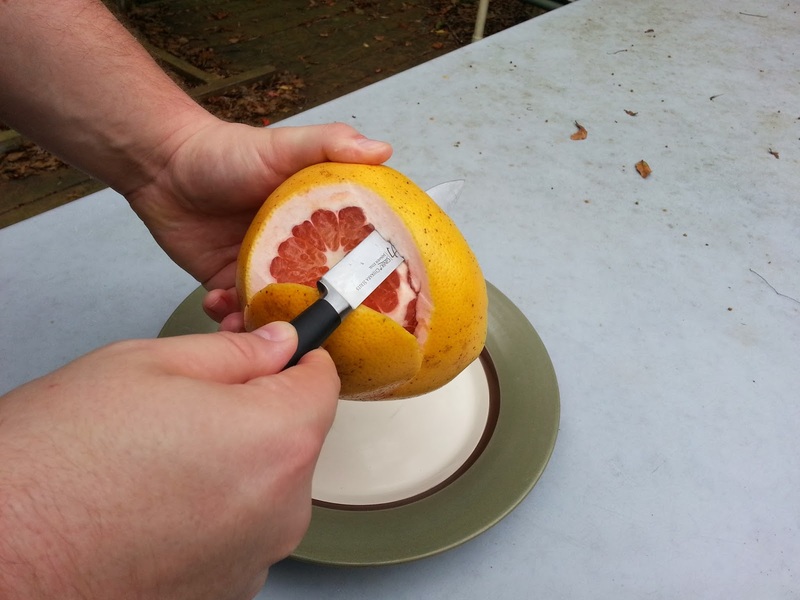 This still needs to be removed. Holding your blade’s edge nearly flat against the pulp, carefully shave the white pieces off of the sides. 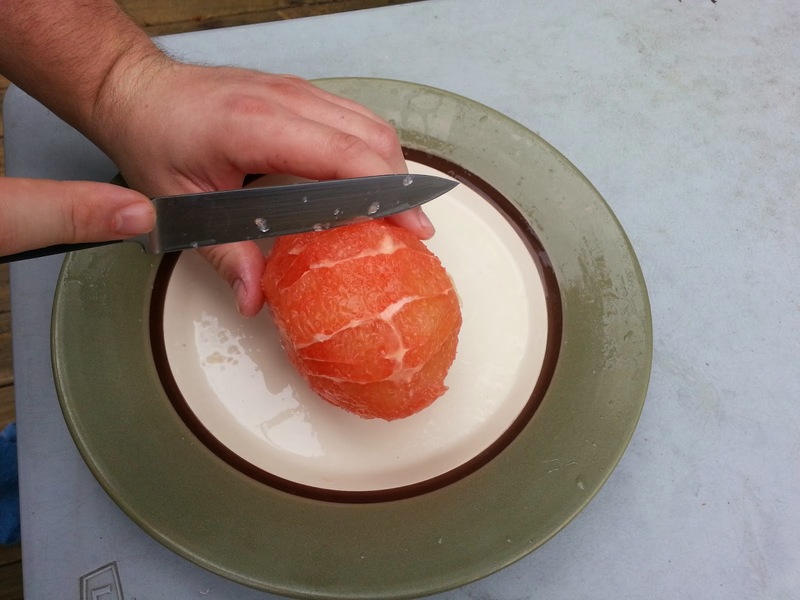 There should only be two areas with mesocarp left on your grapefruit, the top and bottom. 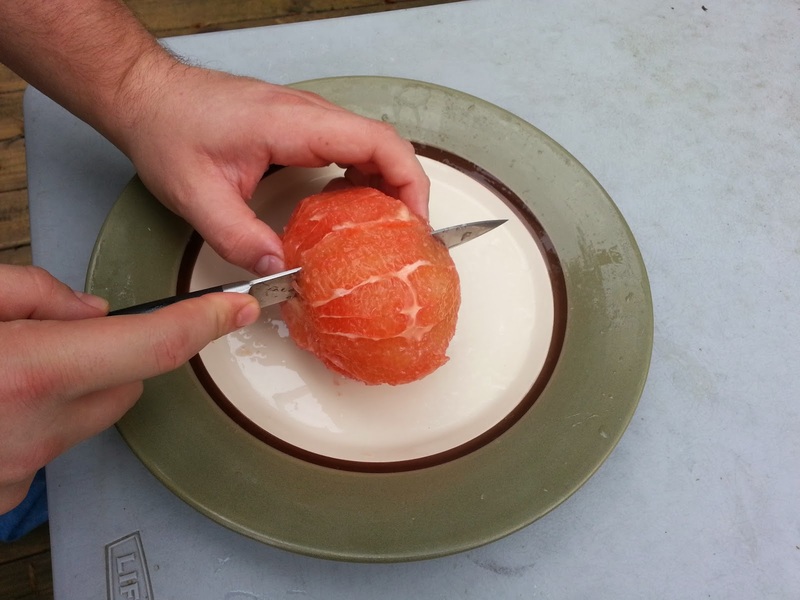 Other than that, the only white parts left are dividing the sections. 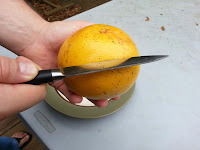 Now, to deal with those. You want to separate the pulp from the dividing wall (or mesocarp). Cut into the fruit, carefully staying just inside of the pulp. Stop cutting when your knife’s blade reaches the white of the top and bottom. Your next cut will be inside the opposite wall of the same section, stopping at the same spot as the first. The interior pulp will come free as a solid, juicy, delicious piece. I find it easiest to fold the mesocarp back on the other gutted sections while cutting new sections. Arrange and enjoy! 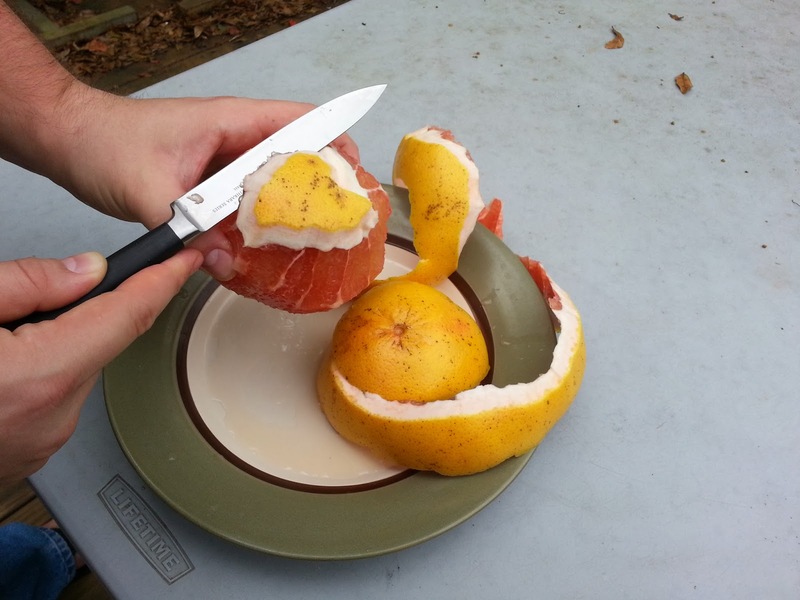 Try this out when you're buying your next Grapefruit! 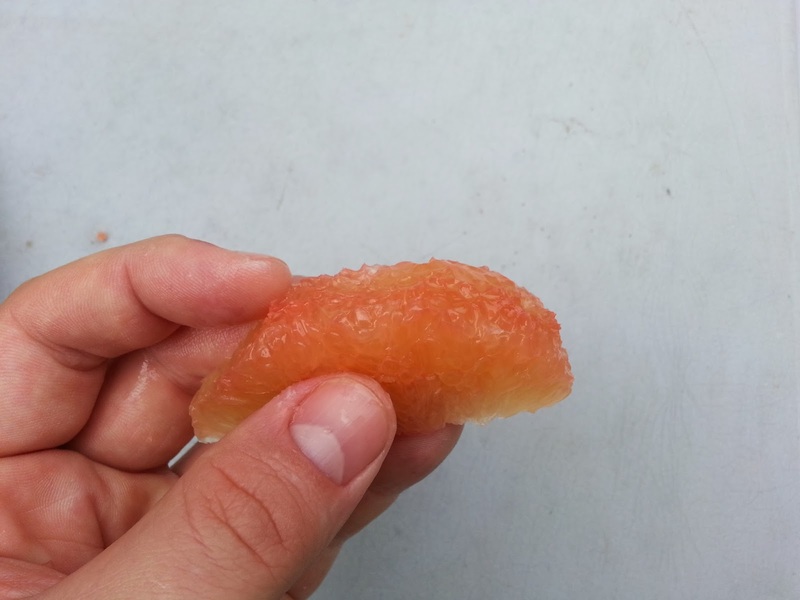 Which Was Named First, the Color or the Fruit? Sounds a bit like the famous “Which came first, the Chicken or the Egg” question, doesn’t it? Luckily, this question isn’t rhetorical. We have a definite answer. 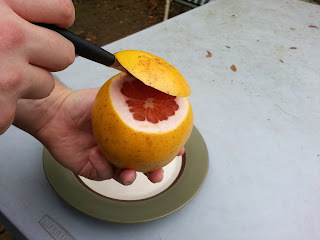 You will be relieved to know that the fruit was named first. Technically, the tree was named first. 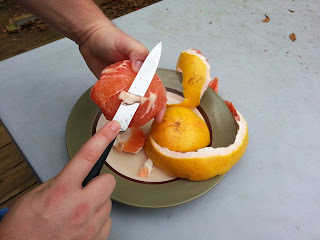 The word we use for Oranges and their trees has truly ancient roots. 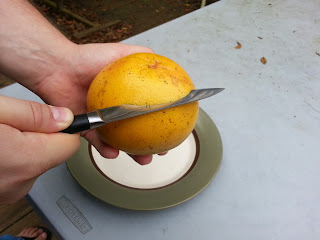 The earliest word we find for “Orange Tree” is “nāraṅga” from Sanskrit. 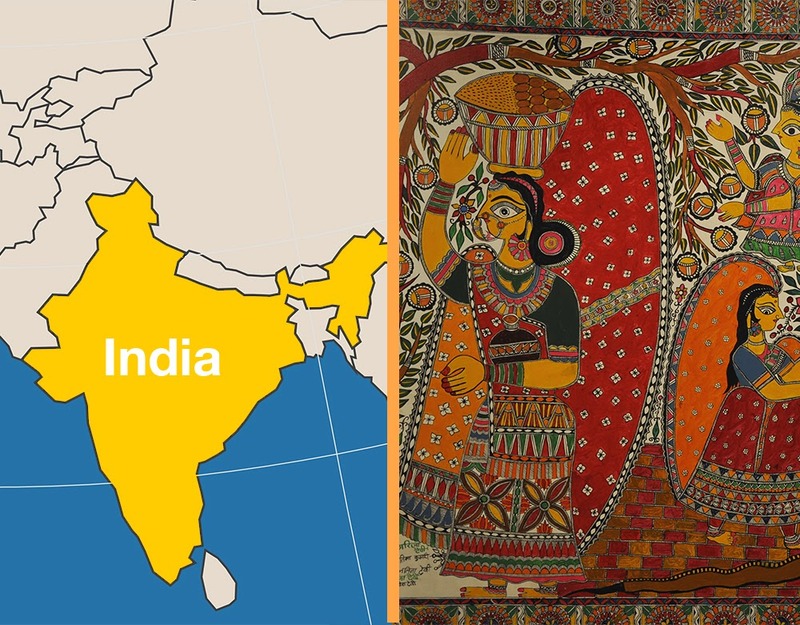 This early language is more than four thousand years old, appearing in some of our most ancient stories, such as the Bhagavad Gita. The Sanskrit language originated in the ancient lands we now know as India. 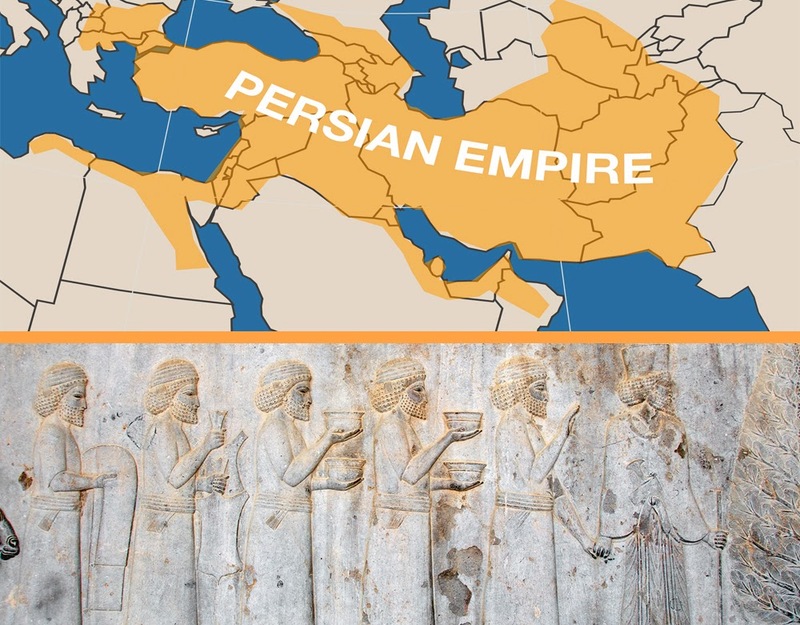 At the height of its power, the Persian Empire spanned parts of Asia, Africa, and Europe. The Persian empire rose and fell, the Arabic language became more widely used and orange trees spread further and further. 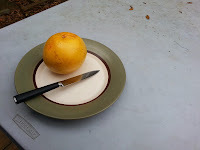 The Arabic word for the tree was almost unchanged from the Persian: "naranj." 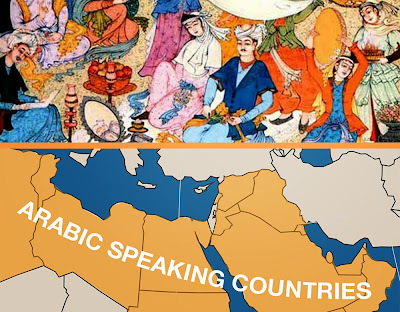 Arabic speaking countries span the Middle East and Northern Africa. 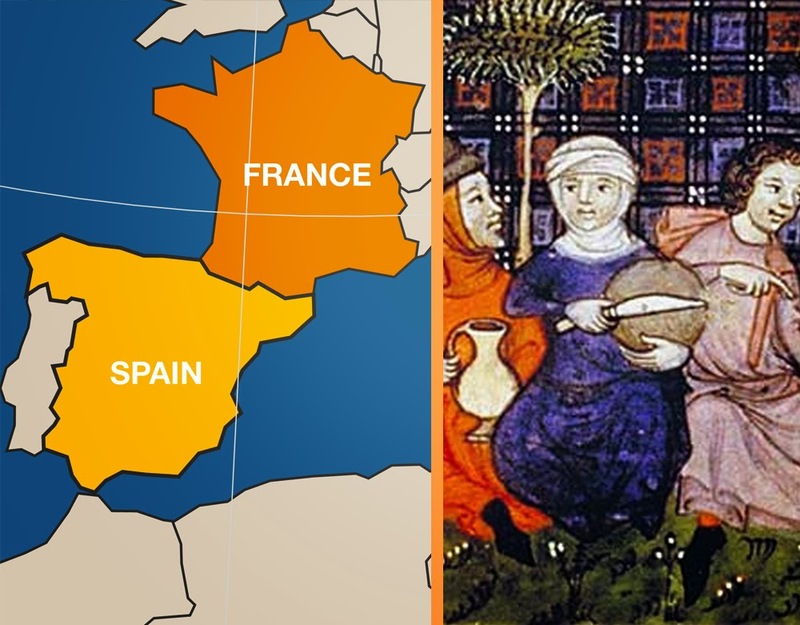 The Spanish language is heavily influenced by Arabic due to Spain's proximity to Northern Africa. The orange finally made its way into early English-speaking countries. 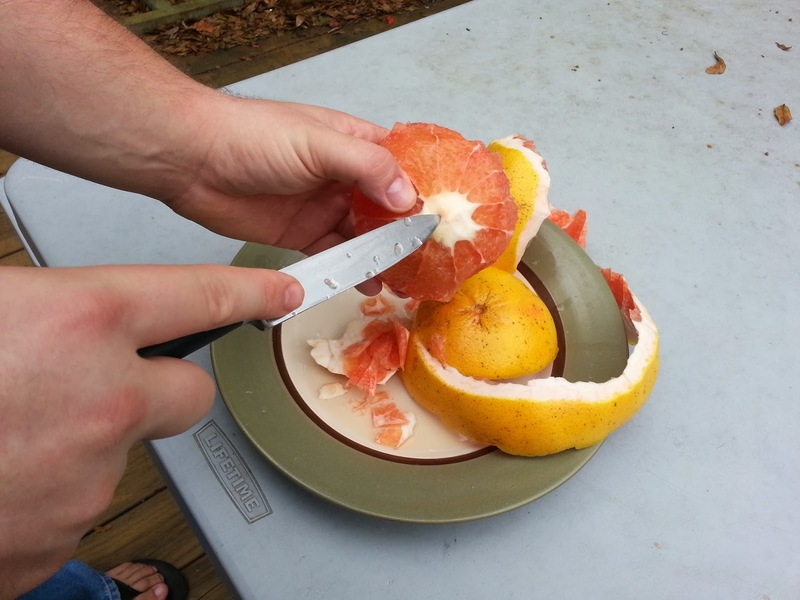 For the first time, the definition shifted to describe the fruit instead of the tree itself. 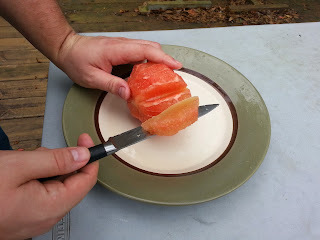 The fruit and it's name rose in popularity, and was widely being accepted as a great gift. Lined up, the history seems much more evident, almost inevitable. When you pronounce these words out loud, you get a real sense of how history shapes and forms the languages we speak today.